Abu Dhabi, UAE, March 26, 2019 –Hewlett Packard Enterprise (HPE) today announced the signing of a strategic new Memorandum of Understanding (MoU) with Abu Dhabi Smart Solutions and Services Authority (ADSSSA), to accelerate the Abu Dhabi Government's digital transformation efforts. The agreement was signed by H.E. Dr. Rauda Al Saadi, Director General, ADSSSA and Fabio Fontana, Vice President and Managing Director, HPE Middle East, in the presence of H.E. Jassim Al Zaabi, Chairman, Abu Dhabi Executive Office and Antonio Neri, President and CEO, HPE. The signing of the MoU was one of the highlights of the recent meeting between H.E. Jassim Al Zaabi and Antonio Neri, where they also discussed the ambitious plans and projects that Abu Dhabi government is currently implementing as part of its commitment to deliver the highest levels of service performance and efficiency for the citizens of the emirate. During the meeting, H.E Al Zaabi hailed HPE’s proven global track record of delivering exceptional experiences and the highest quality of solutions for its customers. Both parties expressed their confidence in the newly-signed MoU, which is aimed towards the delivery and provision of key innovations and advancements for the Abu Dhabi government. “With the utilization of modern day intelligence, organisations need to embrace the new world of digital by journeying on a digital transformation path”, said Antonio Neri, President and CEO, Hewlett Packard Enterprise. “We are excited to collaborate with ADSSSA to further accelerate and elevate digitisation across Abu Dhabi government’s infrastructure and help the Emirate achieve its objectives of Ghadan 21, Abu Dhabi’s development accelerator programme”. ADSSSA will leverage HPE’s digital expertise to advance the Emirate’s Artificial Intelligence (AI) agenda and improve the citizen experience of their integrated online service, TAMM service. HPE will engage in knowledge sharing with ADSSSA by connecting it with HPE’s global innovation centres to offer the best digital practices adopted by governments around the world. 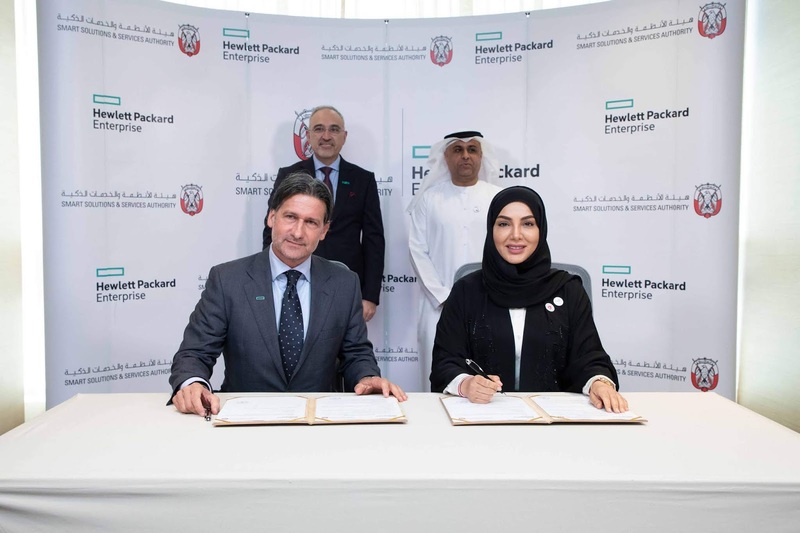 The partnership is also expected to support the UAE capital's emiratization agenda with HPE offering internships to the top Emirati tech graduates, providing them with key access and exposure to global best practices that will help them prepare for future roles in the technology sector.